Even though I have written few tips on Three simple steps for driving huge traffic, most of the people are still struggling to get descent traffic from search engines. Why they get less traffic from search engines? There are several reasons. 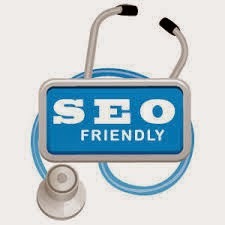 The most common reason is their blogs are not optimized for search engines. Other reason is they read too much on SEO from different sources, but they never tried to implement those in to their blogs. They think reading can bring visitors to their blogs. No it will never happen. You should read the techniques that can bring more visitors to your blog. 1. First thing I want to stress on you is content and products. You may think I am going to say the same story. Yes, because content is the most important to bring your blog up in the ladder. So don’t copy content from other blogs. Make your own content and update your blog regularly. 2. Next step is key words. You should add your key words within the first 20 -30 words in your post. This is very, very important. But make sure not to add keywords without any mean. You should articulate those keywords to few sentences. 3. Then add your key words evenly throughout your post. But make sure not to repeat those inappropriately. Other thing is don’t go behind highly competitive keywords. 4. Add focused key words. You should focus your customer expectations in order to make your key word list. Then add those as I mentioned earlier. 5. Now it is the time to optimize your post with META Tags. Use different META tags for each post. Don’t fill your META tags with key words.Make your META description to describe your content clearly. Put key words only related to that particular post. I will show you how to add different META tags for each post in my future posts. 6. Next thing, once your visitor entered your blog he should feel that this is an important blog. And the blog should be attractive but the navigation should be easy. Your links should direct the person to the right content. So make your design more palatable to your readers. 7. Don’t make pages with dead ends. Every page should have links to anew article. Then visitor will retain on your blog for hours. Then he will remember your blog. 8. Make sure to submit all the pages of your blog to search engines.Whenever you see a free submission tool do it. But make sure not to spam too much. If they detect you as a spammer, they will block you forever. 9. I am reluctant to use most automated services, because they spam the search engines. So I prefer do it manually. 10. Always keep an eye on your competitor. And make your strategies according to your observations.